Well it is that time of the week again, Friday!! Oh the best day because you know that you have two full days of relax awaiting you. This weekend is especially exciting because we have Joel's Aunt and Uncle coming to stay with us! It is also a great time of the week because now I know that I am always doing.. 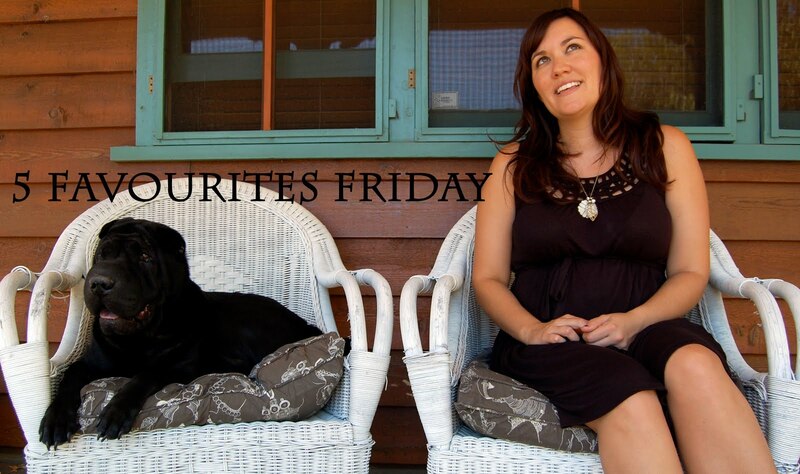 This weeks favourites are my 5 Favourite Blogs! This blog is what initially inspired me to start blogging, and showed me the amazing connected world of handmade! I found it because I was looking for scrapbooking brands and material that wasn't grandma'ish. Now this is not a scrapbook blog, but Elsie Flannigan who owns abeautifulmess used to have her own scrapbooking line. To make a long story shorter, now this blog is about fashion, design, lifestyle and her vintage/handmade/cupcake store called Red Velvet. It is really a great blog and constantly a source of inspiration to me. Next up is Smile and Wave. This is owned by Rachel Denbow, best friend of Elsie (above). Although, quite different to a beautiful mess you can definitely tell these girls are connected. Rachel's blog is about kids, craft, vintage and she always has some great ideas and insights that especially in this phase of my life I feel like I can relate to. Third is Sublime Stitching This is a blog by a lady named Jenny Hart. It is how I initially saw how great modern day embroidery could be and made me really want to give it a shot. 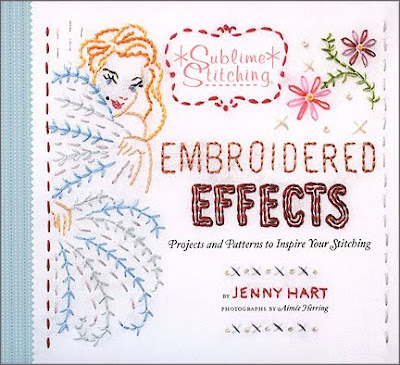 Jenny has a couple of books about embroidery published, and offers great embroidery tips on her blog. She has some great designs that you can purchase through the store and she really loves embroidery. Fourth, this is a new one for me, Powered by Pastries. I only found it about a week ago. Already, I have utilised it to start to re-design my blog (if you didn't notice) I downloaded one of Powered By Pastries free blog templates and I really love it. I like the style of the blog design, and I really love all the great tips about how to improve your blog. I am such a html amateur, I am really looking forward to new posts and learning more about blog design! As I am always trying to think of new ways to decorate my house that are not the usual go down to the store and buy the stock standard, this blog always inspires me. Like I am loving this re-upholstered couch! I love all the features, especially the before and after posts of furniture and articles that have been reconditioned. Makes me so excited to try them myself. Wow, I could probably do 10 or 15 favourites on this topic so easily. One thing I realise that they all have in common, is they all have been a source of Inspiration for me. This keeps me going back and checking often. It is a good thing for me to remember about my own blogging journey, and how I can improve.